We are offering our customers a steadfast array of Chrome Bricks that are procurred from authentic and reliable vendors of the market. These Chrome Bricks are widely acknowledged in open hearth roof, rotatory kiln for dead burnt dolomite and magnesite back up lining. Our range of Chrome Bricks are available at market leading prices. Application Area: Open Hearth Roof, Rotatory kiln for dead burnt dolomite and Magnesite Back up lining etc. Offering wide range of Chrome Bricks to our valuable client These bricks are widely acknowledged in open hearth roof, rotatory kiln for dead burnt dolomite and magnesite back up lining. Moreover, these chrome bricks are acclaimed for their strength, lastingness and high quality. Chrome Brick, Size (Inches): 9 In. X 4 In. X 3 In. 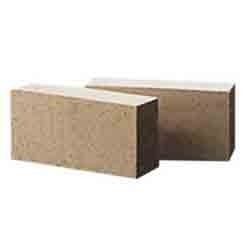 We can provide TRL make Chrome base Magnesia bricks. In this range Maithan offers general purpose varieties for back up application, reheating furnace and other non ferrous industries.